FAB Evenings are storytelling events over cocktails with like-minded and successful women in business to connect and inspire each other and succeed together! 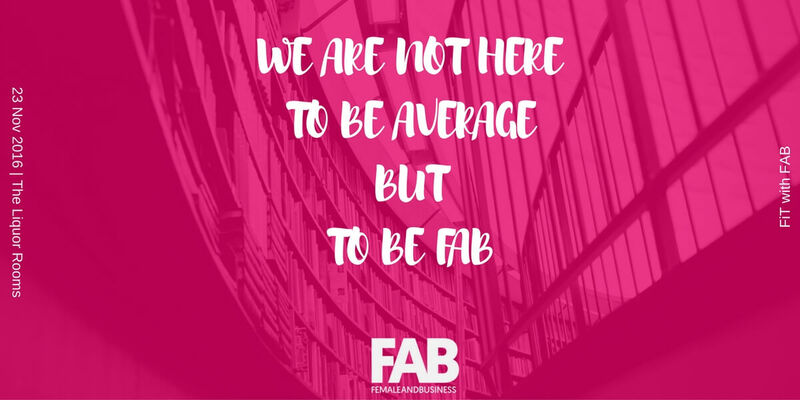 Following WebSummit in Lisbon last week and Women in Tech meet-ups before that, you should feel empowered and motivated, so FAB Club decided to organise this FAB evening, where you can meet with both FiT and FABentrepreneurs. How do we both understand and calculate the value of a person, and what can that do? Taking examples from the world of fine art sales and fundraising, Liquor Rooms Arts and Culture Manager Chandrika Narayanan-Mohan is going to talk about how her experience has helped her not only calculate the value of a work of art or a project, but also how to apply the same structures to understanding her own quantitative and qualitative value to a company and to any potential collaborator. In a friendly and professional atmosphere, women can exchange experiences, tips and hear inspiring and successful stories to feel even more empowered and motivated. It will also be an unique opportunity to build valuable relationships and network.